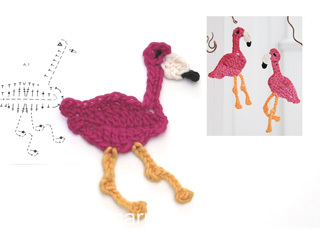 In this DROPS video we show how to crochet the Flamingo in DROPS Extra 0-1454 after chart A.1. 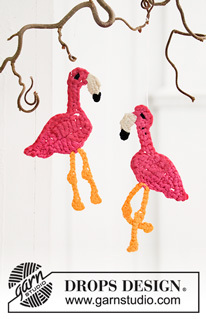 The Flamingo is crocheted in DROPS Paris, but in the video we work with a thicker yarn; DROPS Eskimo. You must read the pattern and look at the chart to be able to follow this video properly. 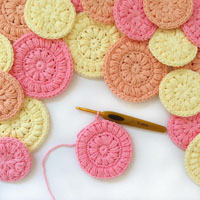 You’ll find the pattern by clicking on the picture below. 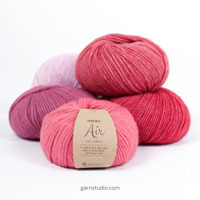 With over 30 years in knitting and crochet design, DROPS Design offers one of the most extensive collections of free patterns on the internet - translated to 17 languages. 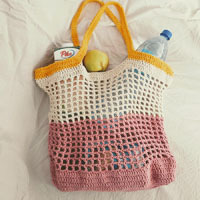 As of today we count 242 catalogs and 8800 patterns - 7748 of which are translated into English (US/in).